The relationship you build with your website’s hosting company is a partnership that’s going to last for a long time. Which it why it’s important that you choose a hosting company that offers services of the highest quality, instead of the cheapest prices. WPEngine is one the few hosting companies that offer award-winning web hosting services at affordable prices. They are well-known for their managed WordPress hosting plans and responsive customer support services. If you’ve been looking for a reliable web hosting company to build your new WordPress site, WPEngine is the right partner for you. To make WPEngine even better, we’re also giving you a special deal to get 20% OFF your first purchase of a hosting plan or get 4 Months of FREE hosting when ordering a full year of hosting from WPEngine. Simply use the coupon code wpe20 at checkout to get the deal. 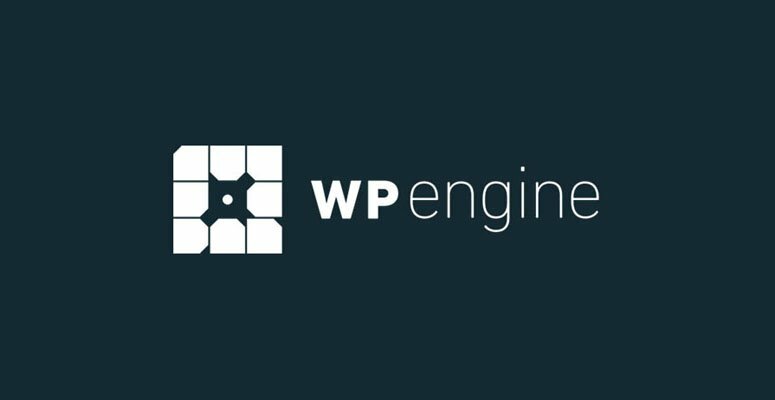 What’s So Special About WPEngine? There are many web hosting companies out there that offer hosting services for WordPress websites. So, why choose WPEngine? First of all, WPEngine is not an ordinary web hosting company. They offer managed web hosting services for WordPress users. Which means, WPEngine lets you host websites on servers that are specially optimized for WordPress software to provide the highest performance and speeds. WPEngine also uses special technologies to make their servers super fast and provides enterprise-grade security and customer support for all of its customers at affordable prices. You can learn more about those later. Is WPEngine suitable for building a business website? Or a high-traffic blog? A great thing about WPEngine is that they have web hosting plans that are suitable for everyone from small blogs to medium websites and even enterprise websites. Even some of the most popular brands in the world, such as Asana, SoundCloud, AMD, Reader’s Digest, Yelp, and many others trust WPEngine services. Whether you’re looking to build a business blog, a personal portfolio site, or a niche blog to make some money on the side, WPEngine will surely take good care of you. Here are some of the main features of WPEngine hosting services. One of the special features of WPEngine is its EverCache technology, which is an advanced scalable caching mechanism that comes included with each of WPEngine hosting plans to make sure your website perform faster than on any other hosting platform. You can say goodbye to third-party caching plugins. Keeping your website backed up and prepare for in case of disaster won’t be a problem when using WPEngine. The company provides free automatic daily backups for your website with 1-click restore functions. A service which you have pay extra on most other platforms. WPEngine promises to keep your website safe from hackers, malware, DDoS attacks, and viruses with its real-time threat detection technology. WPEngine will also automatically patch and update your WordPress software to keep your website up-to-date. WPEngine provides customer support around the clock every day, making sure their expert support team is always available to answer your questions and solve problems. Usually, on most hosting platforms, you have to pay a fee of around $150 to get your website migrated to a different host. WPEngine does it for free. If you already host your website on a different hosting site, WPEngine will move it over for you free of charge. If you’re not satisfied with WPEngine’s hosting or services, you can ask for a refund. The company gives you 60 days, that’s two months, to test the platform and ask for a full refund if you’re not happy. How Much Does WPEngine Hosting Cost? WPEngine has pricing plans for everyone. Each plan is optimized for building different sizes of websites but comes with all of WPEngine’s special features and benefits. Personal: $29 per month for building a single website with 25k monthly visits, 10GB space, and unlimited transfer. Professional: $99 per month for building 10 websites with 100k monthly visits, 20GB space, and unlimited transfer. Business: $249 per month for building 25 websites with 400k monthly visits, 30GB space, and unlimited transfer. Premium: For building 150 websites with 1 million monthly visits, 100-300GB dedicated hosting space, and unlimited transfer. Contact WPEngine for a quote on pricing. Enterprise: For building 150 websites with 5 million monthly visits, 400GB-1TB dedicated hosting space, and unlimited transfer. Contact WPEngine for a quote on pricing. After reading all the great things about WPEngine, we know you must be pretty excited right now to get a hosting plan. But, before you rush to buy hosting from WPEngine, be sure to copy our WPEngine coupon code wpe20 and use it during the checkout process. You’ll get 20% OFF your purchase or 4 months of free hosting when you order a full year of hosting. This is an exclusive deal offered only for the loyal fans of Meridian Themes. Use our exclusive WPEngine coupon to get 20% off on all plans (+ 4 Months Free).